Camping Acrogiali, Greece, Epirus, Camping and Caravaning in Greece. Greek Campings. Camping in Greece. 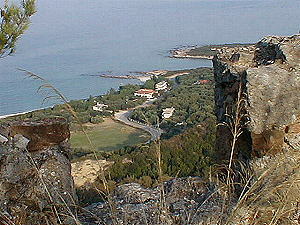 CAMPING ACROGIALI is a meeting place for pleasant and car free holidays. You will find us at 25 km north from PREVEZA port or 60 km south from IGOUMENITSA port. The blue ionian sea with its magic beaches and the beautiful montains are attractive places from where you can set off for daily trips to explore and enjoy the nearby area. 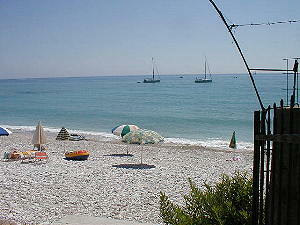 CAMPING ACROGIALI is located just beside the sea and is shaded by olive, mulberry and poplar trees. We offer rooms, studios, restaurant, mini market, playground electricity hot water, kitchen and laundrette facilities. Places you can visit : PARGA, NEKROMANDIO, the ancient NIKOPOLIS, the historical ZALONGO, the islands of LEFKADA, and CORFU and many more beauties of Ionion and EPIRUS.